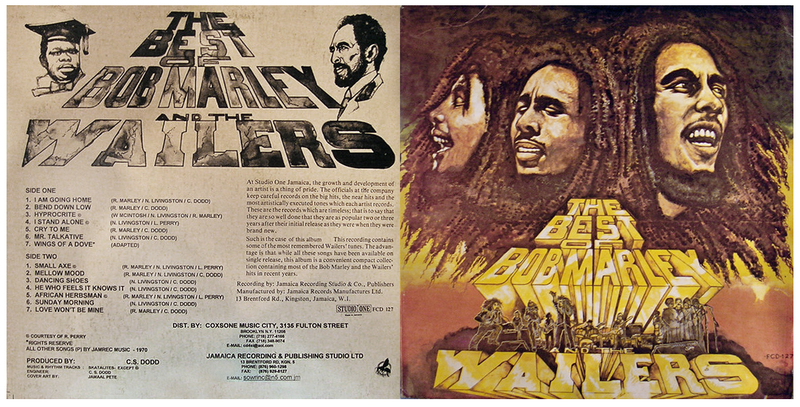 In 1967 Bob Marley and The Wailers split from Studio One to take control of their own recordings. 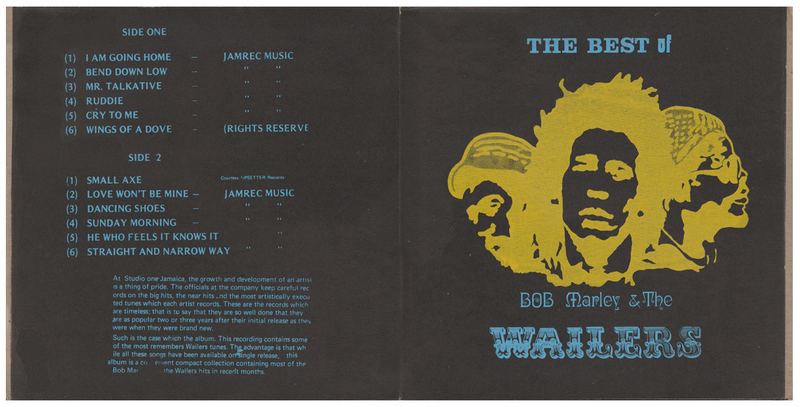 Their first single - Bend Down Low b/w Freedom Time, released on the Wail ‘N Soul ‘M label - was recorded at the Brentford Road studio with The Soul Brothers as backing musicians. By 1974 the group was achieving considerable international success, and no doubt Coxson saw this as an opportunity to re-release some of their earlier material as a ‘Best Of’ compilation. 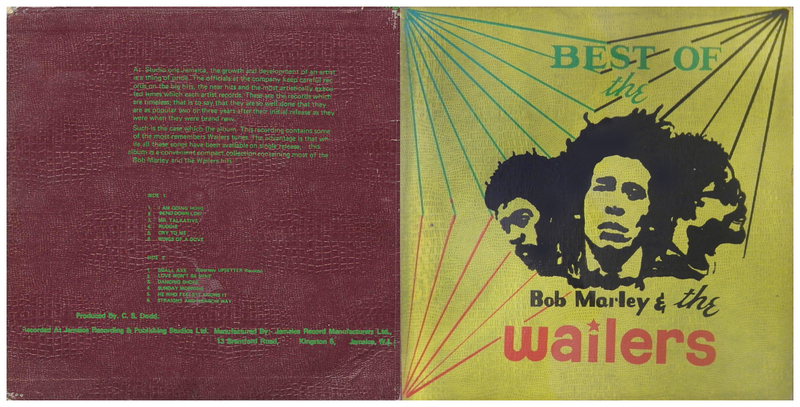 US issue, released as a part of Buddah's Authentic Island Collector's Edition series. 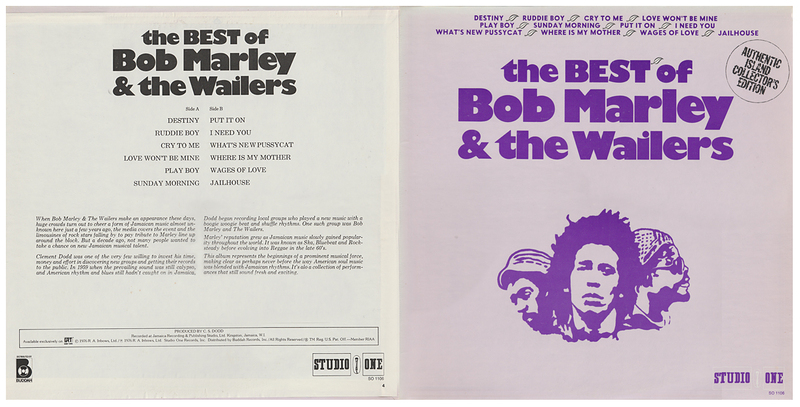 While this compilation shares only three tracks with the original Studio One issue, there are several tracks that are more difficult to find elswhere. 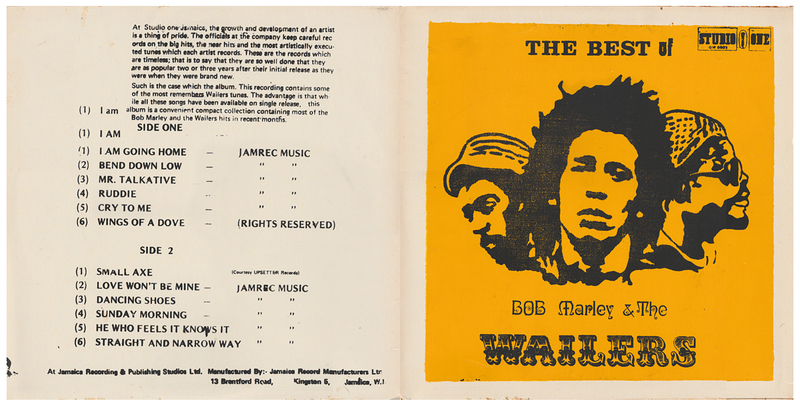 Note that Ruddie Boy (aka Rudie) is repeated - on Side A, and as Jailhouse on Side B. 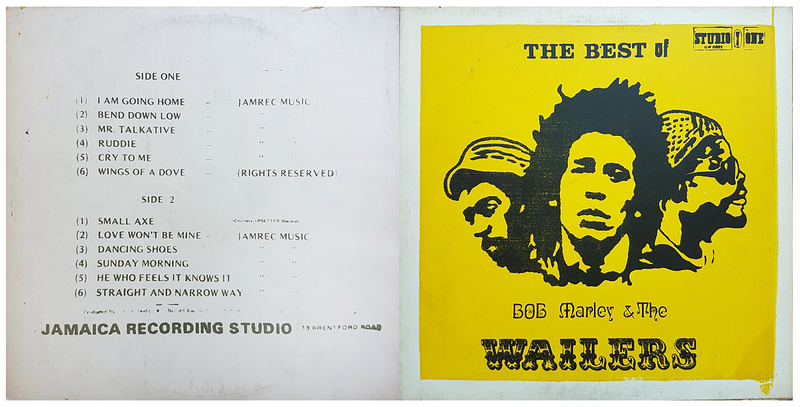 * Wailers self production at Studio One. 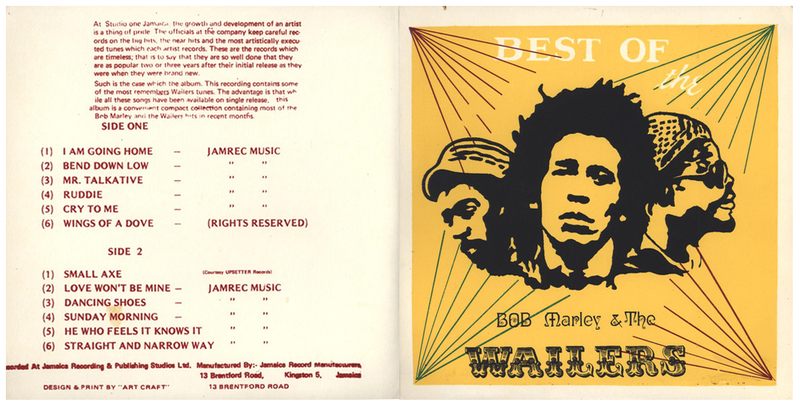 Studio One CD with additional Wail 'N Soul 'M and Lee Perry productions. 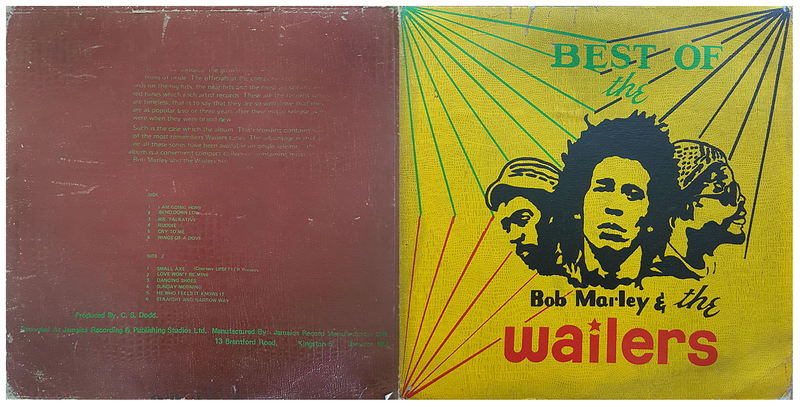 Vinyl reissue of the 14 track edition in a late 1970s screen-printed sleeve (my copy is printed on the back of a re-cycled Miracle Corn Meal package). 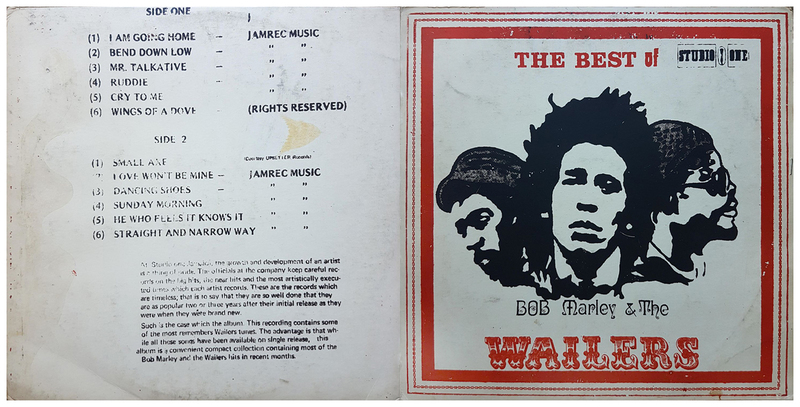 However, the sleeve and label only list the original 12 tracks. 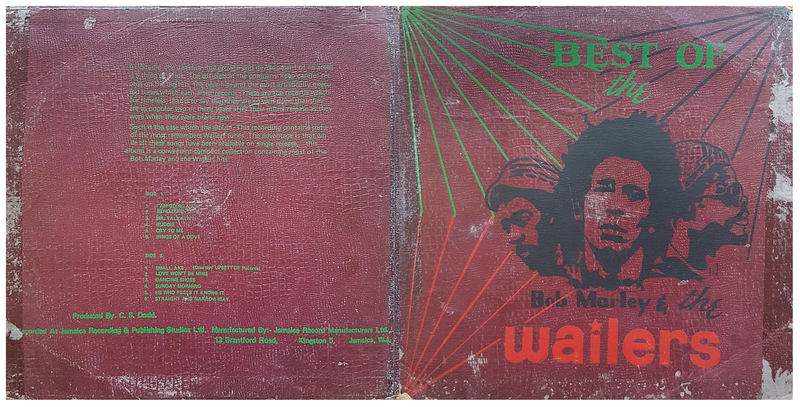 The fifth 'crocodile-skin' variation, pressed on heavyweight vinyl with no discernable matrix number. 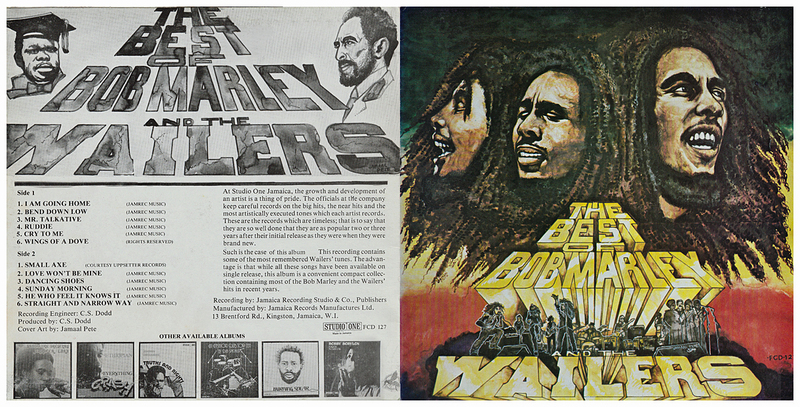 Late 1970s screenprint sleeve. 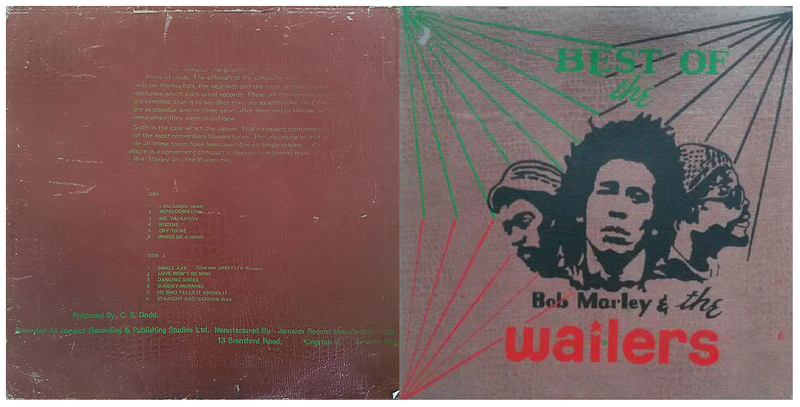 The matrix number is now clearly visible on the thin vinyl pressing. 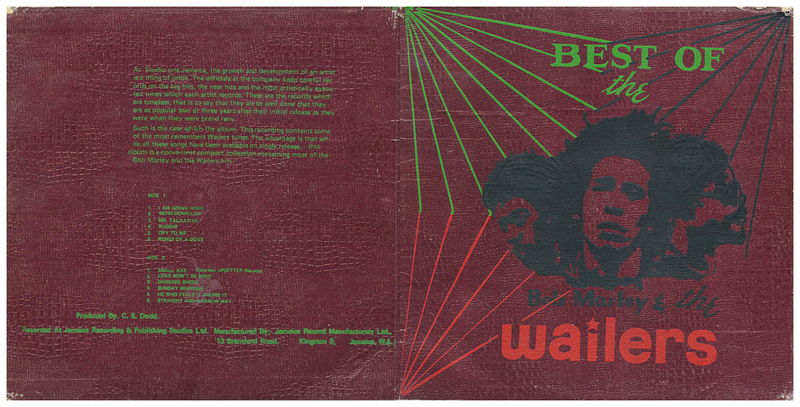 The fouth 'crocodile-skin' variation, pressed on heavyweight vinyl with no discernable matrix number.